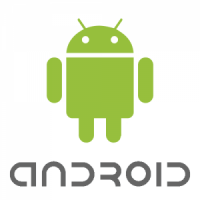 As a part of Google Developer Android Group We promised to provide our 30 Developer Capacity Ahmadabad office for Android Boost Up Session. This boost up session held last Saturday at 2:00 to 7:00 Pm. Students really liked and loved Android Programming. Most importantly we trained them on how to upload application on Google play store with our “letsnurture” Google Play Store account and how to publish an Android app. Some cool members of GDG Ahmedabad like Ketan Raval, Pratik Patel, Paresh Mayani, Dhrumil Shah where there to help students about developing an android application. Session was divided in two part. Paresh and Dhrumil did a wonderful job to explain students how android evolved, Project Glass, how to install eclipse edt and run program with emulator. Students were lucky enough to get all these knowledge from industry maestros. Dhrumil and Paresh did some interactive work by explaining and asking students about Intents, Activity , Service and other basic android development things. After developing a “hello world” it was a time to publish this app on google play store. Letsnurture allowed students to upload this app on our live play store ( with a condition that students will not touch our live application such as Tweet Analysis & SEO Holic) . Ketan was monitoring students and answering their awesome questions. Pratik explained him how to publish android app on Google store. Here are some cool pictures of event..